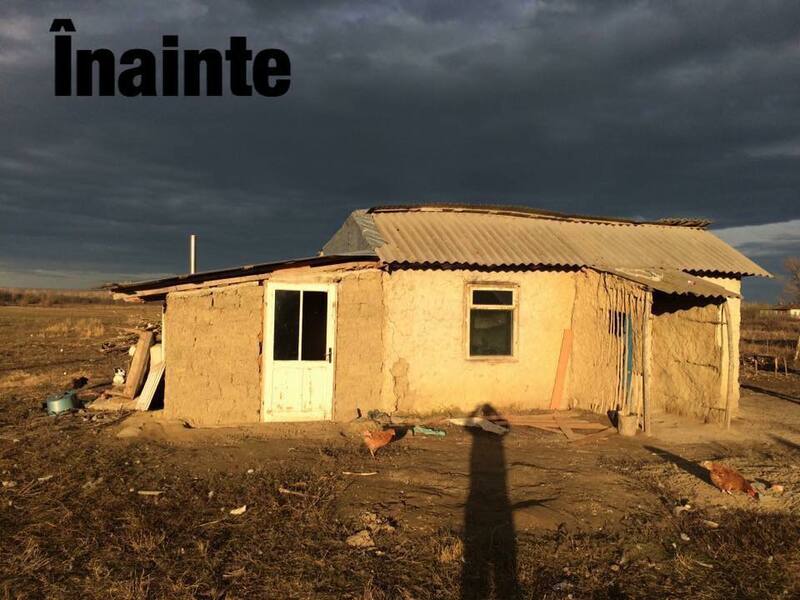 In Moldova, Romania’s poorest region, a man builds houses for the poor, trying to change the children’s fate for the better. He uses social media to connect people for the greater good. It was late-2014 when Bogdan Tănasă read in the local newspaper an article about a kid who wanted a toy car. A usual toy for most children, which the little boy never had the chance to play with. He was one of six siblings abandoned by their mother, living in very poor conditions, with a father who, although he was trying to provide for them every day, was overwhelmed by the situation. 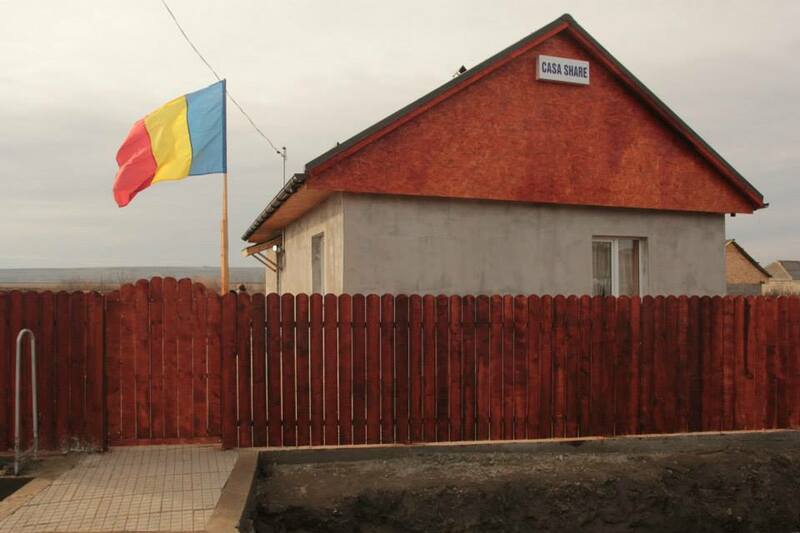 But this was something Bogdan Tănasă discovered when he went to visit them after reading the newspaper article. Wanting to help them with small things such as food, toys or firewood, he went to the address mentioned in the newspaper. What he found there changed his life forever: six children living from day to day, in a tiny house that, above all, had also been recently flooded, with very little food and almost no living conditions. And no toys. That’s when Bogdan Tănasă first thought that maybe he could do more to help, and the first thing that crossed his mind was to try and find other people who would be willing to help as well. Instead of calling his friends and explain each and every one of them his plan, he turned to Facebook. His friends reacted to his message and that is how, before the Christmas of 2014, the six children got the biggest gift: a new house that Bogdan and his friends built for them. Fast-forward four years, Bogdan Tănasă’s initiative became a social project named Casa Share. A community that has been growing every time social media users pushed the share button on Facebook or volunteered to help. After the first house was built, things kept moving forward in a natural way. There were some building materials left from the first house, which Bogdan Tănasă decided to store in one of the halls of his factory. A factory he managed to open with EU funds, his own little business he has to look after as well. 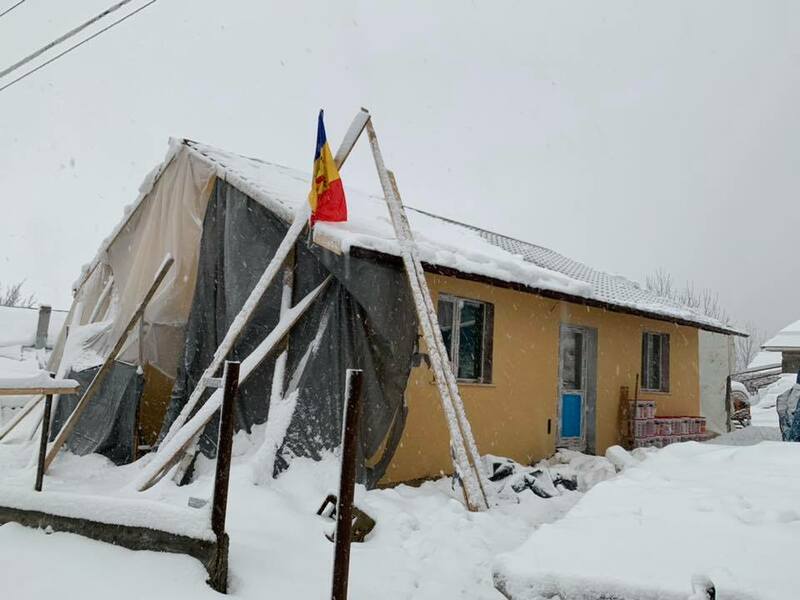 Not long after, Bogdan and his wife thought they could use those building materials for yet another family who needed help: four little girls and their parents living in a single tiny room in the village of Popricani, Iasi county, the home village of Bogdan Tănasă. Thus, he decided to post another call for help on Facebook, and the entire story repeated once again. From donations and with the help of other people, the second house built by the Casa Share community was ready after about a month and half. “We made a house, and then another house, and then another. Facebook helps us a lot because here is where people come together. Just like anything else, Facebook can be good or bad. What happened to me was good because, through all those shares, the message can get to at least one person with a good heart who wants to help. That good soul contacts us and, one by one, we unite and do these things,” Bogdan Tănasă told Romania-insider.com. On average, it takes about 1-2 months to build a house, depending on available funds, the weather, and various other aspects. Two paid construction specialists are in charge of the first part of the project, but volunteers and other paid locals from the village also come to help. When the house is nearly done, Casa Share has another surprise for the children: they get to spend a few days in on holiday while their rooms are being arranged. This way, when they return, they get to live the full joy of seeing their new house. And, as Bogdan Tănasă explains, this joy of seeing the children so happy gives him the strength to continue his charity work. But things are not all pink. In addition to the hard work and energy this social project requires, Bogdan also has to deal with critics and negative reactions and comments from people. And he let those negative vibes make him want to stop for a while, until he realized that the good is much greater than the bad. “Doing good is in my DNA, so I couldn’t stop,” he says. Not many people stop to think what offering a new house to a family in need really means. In addition to helping them live in better conditions, this act of kindness has much bigger consequences. Although the project received almost no help from local authorities, Casa Share gives something back to the community. The children they help start to think about their future, with most of them already having jobs or preparing for jobs, hence producing added value to the economy, through their taxes. Instead of living from day to day with the money they receive as social aid from the state, they now produce something of their own, helping their communities grow, Bogdan explains. Plus, Casa Share has yet another project in mind: a day care center for the children in Popricani. 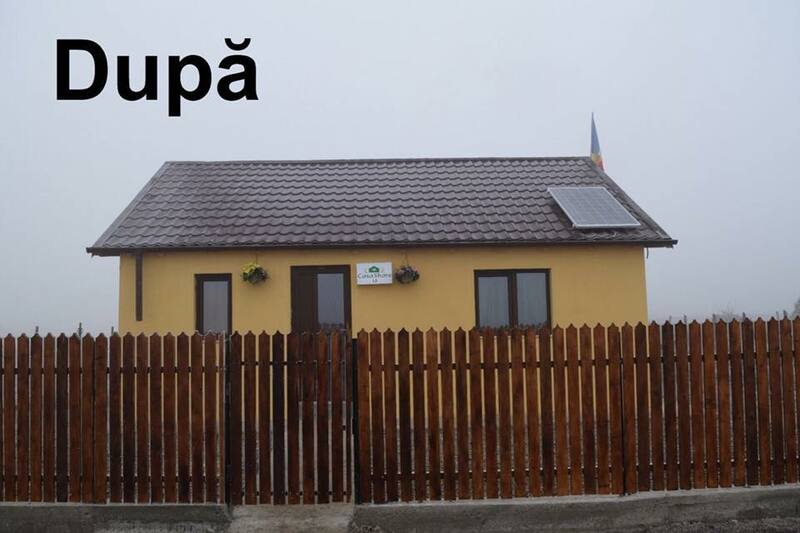 This is Bogdan Tănasă’s plan to change the fate of the village’s children. A sad and usual situation in Romanian villages, the parents often send their children to work the fields after school, regardless of the weather or high temperatures, while they spend the children’s allowances on things like alcohol or cigarettes. Bogdan wants to change that, hoping to get the children to this day care after school, where they would continue their education and receive a hot meal. The center would also include a special wing for the elderly, where they would get to live in better conditions than at home. But the project still needs some permits from the local authorities. In addition, Casa Share offers children short vacations, but it also looks after the village’s elderly, helping them with food or making sure they can move around in winter, when the snowfall can block their doors. Casa Share has been receiving help from both Romanians living in the country and those living abroad, as well as foreigners. People can help with money or any other goods needed to build a house, as well as with their time, by participating in the construction. More details are available on Casa Share’s website or on the Facebook page.